RAINDROPS WATER TECHNOLOGIES DM Plants are designed based on latest cost effective ion exchange technique of counter current regeneration. 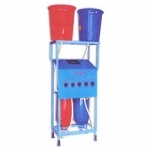 The units consist of two corrosion free pressure vessels internally connected in series. The first column containing Cation absorbing exchanger and second column charged with an anion absorbing exchanger. 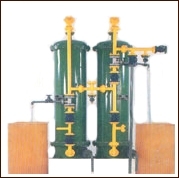 The water flow Pass through the bed of a Cation exchanger then the bed of an anion exchanger and the systems remove dissolved salts from water to a specified degree. Regeneration require after using total exchange capacity. The Cation Resin is regenerated with an acid and anion resin is regenerated with alkali solution. 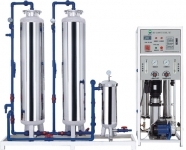 RWT consists of acid/alkali proof pressure vessel with internal fittings and initial charge of Cation and Anion exchanger, set of regeneration equipment, hydraulic ejectors, acid and alkali tanks and conductivity meter to monitor treated water quality. 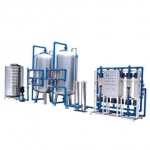 These DM Plants offer a practical range of capacities and flow rates necessary to serve wide variety of applications. 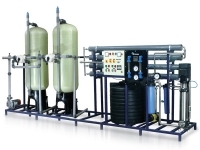 Standard portable deionisers are Upflow two-bed type compact and simple to operate with conductivity meter to monitor quality of treated water continuously when in operation. 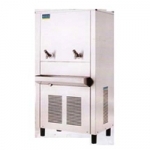 Demineralisers can be connected directly to the Raw water and can used for continuous supply or instant requirement of demineralised water. 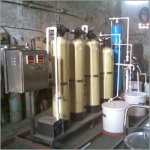 FRP cylinders filled with high capacity ion exchange resins, mounted on M.S. 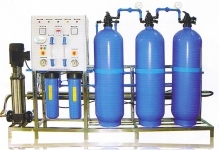 frame proteded with Epoxy paint, plastic control valve and conductivity meter on front operation panel, PVC flexible interconnecting tubing, conductivity cell and two nos. plastic buckets for regentation. 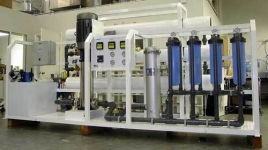 �	Quality of treated water depends on raw water quality. 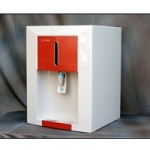 �	Raw water should be clean, colour less and free from organic matters and oils. 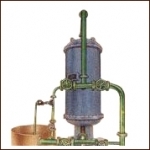 �	Treated water is not pyrogen free but it contains to IS 1069/64. 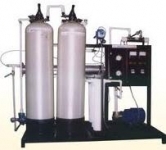 �	Capacity per regeneration depends on ionic load present in raw water. 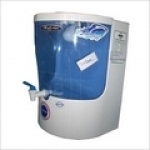 �	Demineralised water is suitable for distilled water. 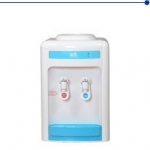 �	Beverages, Fertilzer, Pharmaceuticals, Battery Water, Chemical Industries, Induction Furnace, Steel Plant, Food Processing, Electro Plating, Electronics, Hospital, Laboratories, Schools, Collages.